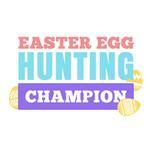 Make some fun this Easter with some healthy competition with the Easter Egg Hunting Champion Dog Shirt! 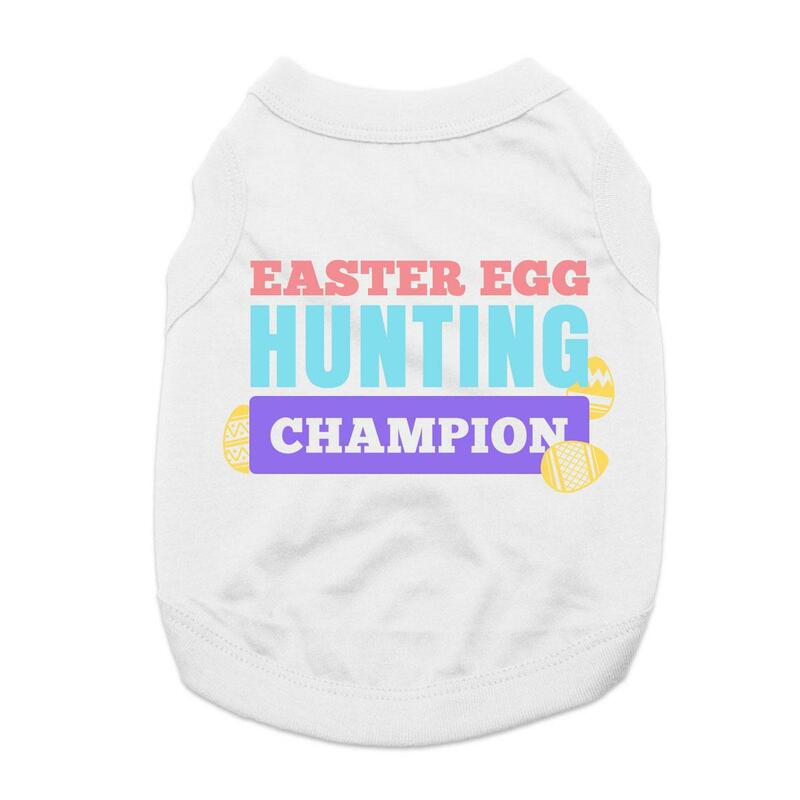 The Easter Egg Hunting Champion Dog Shirt shows off the champ of Easter! 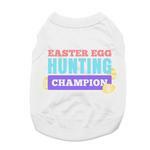 This funny dog shirt will bring out smiles during your outings and this Easter season! This dog tank top features a high-cut, stay-dry belly for the ultimate in comfort and convenience. The sleeveless style won't encumber your pet's movements. This is a custom design that we've created especially for BaxterBoo customers in our very own T-shirt print shop. This has been carefully printed on a white 100% cotton tank top. This comfortable dog shirt is sure to be your pet's favorite and can be layered under hoodies for extra warmth and to keep shedding down. This 100% cotton tank top is easy to care for. Machine wash cold and hang or dry flat for best results. Great for spring gifts and Easter baskets! Pair with one of our Easter dog scrunchies for even more attention-grabbing fun!